It is always amazing to hear customer success stories backed by data points like, “…achieved over 98% reduction in the backup window” or “100% data reduction ratio”, but it is super exciting to see when customers are recognized for their hard work and foresight. On behalf of Cohesity, I would like to congratulate the entire team of Banca Intesa Sanpaolo (ISP) for not just being named a finalist in the prestigious “Best of VMworld Europe 2017” award but also for becoming the “Highly Commended Nominee” under the “Data Security and Data Protection Project” category. VMworld Europe is one of the most attended conferences that attracts IT professionals from across the globe. People who are familiar with the “Best of VMworld” award can attest that the selection criteria and judges panel are anything but easy, and becoming the most commended project is a great achievement for ISP. To increase performance, and reduce complexities and cost, the IT team started looking at software-defined solutions, and a team travelled to Silicon Valley to evaluate available options. After running a through evaluation, ISP chose Cohesity, a hyperconverged secondary storage solution, that would allow unlimited scale-out, native cloud integration, with built-in analytics and automated DR. 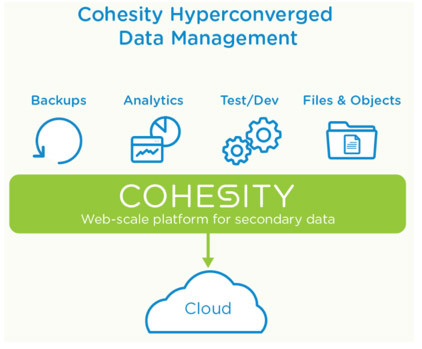 The IT team’s decision to select Cohesity was driven by Cohesity’s superior technology architecture and vision. Cohesity DataPlatform is based on a distributed file system called SpanFS (similar to Google File System) that makes it more scalable, open, and efficient. This scalability, coupled with DataPlatform’s other features such as S3, NFS, and SMB interfaces, meant that the bank’s IT team could use it beyond backup to consolidate its secondary storage. Furthermore, the backup data from the platform could be used for analytics purposes in real time, and the log data could be used for compliance and security purposes. Over 98% reduction in the backup window – With the new solution the backup window got reduced from an entire day (24 hours) to 15 minutes. This allowed the bank to take a snapshot of its whole virtual environment every hour, as opposed to once per week with the old legacy backup systems. 20% primary storage optimization – The team reduced silos and consolidated secondary storage environment into a single platform, which previously was hard-to-integrate. They also transferred other secondary storage applications into the same platform, further reducing their storage footprint. 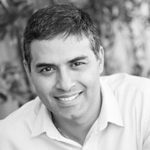 With this the bank achieved 20% reduction of capacity on their primary storage, which previously was used for test and development purposes, and now could be done directly on Cohesity. 100% data reduction ratio – Cohesity natively supports global data reduction technology within DataPlatform. The team doubled their data reduction ratio from its older dedupe appliance, making it comparable with the one achieved in its AFA-powered primary storage environment. Moreover, they eliminated unnecessary copies of data thanks to Cohesity’s copy data management capabilities. In fact, the bank’s previous legacy backup system used to produce and retain several copies of data from each single VM, multiplying exponentially the amount of stored data with heavy impact on the bottom line. Simplified management – The IT team started leveraging policy-driven backup. It orchestrates the policies through Cohesity’s internal orchestrator feature, automating the backups and enabling IT personnel to focus on other strategic priorities. Operational simplicity for backup and restore – The availability of an automated and easy-to deploy restore system empowers the users to initiate their own restore of single files whenever required, without the involvement of the IT department, and restricting the operation to single files. Congratulations to the entire team at Intesa Sanpaolo on an amazing success story.